Leipzig has grand buildings, but the main story to tell is of the fall of the East Germany regime in 1989 - protests in Leipzig were the catalyst. 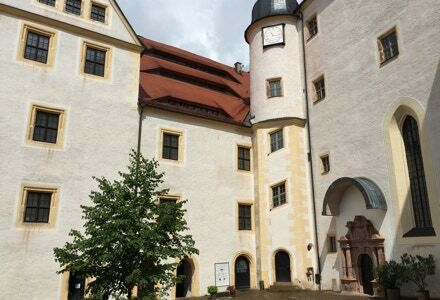 At nearby Colditz you can visit the castle which housed a famous PoW camp in World War II. Dresden is infamous for the February 1945 bombing, but a visit today will show you a city whose history has been restored, with its fine 18th-century Baroque palaces and churches. Weimar has the striking contrast between the buildings frequented by leading Enlightenment figures and the presence of Buchenwald concentration camp nearby. Luther is celebrated in Wittenberg, and at Wartburg Castle where he translated the New Testament into German. 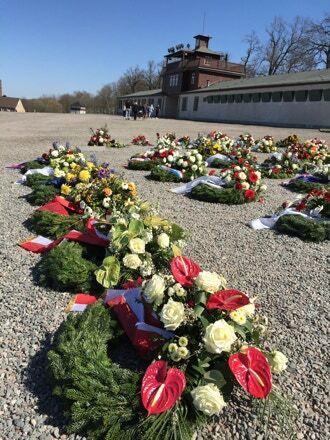 At Torgau you can see where American and Russian forces met on 25 April 1945. Early visits to Goethe’s and Schiller’s private residences. After coffee we’ll drive 1 hour west to Eisenach for lunch in the town before going up to Wartburg Castle. This is where Luther took refuge in 1521/22 - and where he translated the New Testament into German, a significant step in the development of a single German language. We’ll take in the special exhibition for 2017 “Luther & the Germans”. Mid-afternoon we’ll drive 2 hours to Leipzig for an overnight stay. Short walking tour showing you the highlights of the city centre - the Old Town Hall, the Thomaskirche where Bach was the cantor, and the Nikolaikirche which housed the protests in 1989 that led, eventually, to the fall of East Germany. 1 hour 15 minute drive to Wittenburg. We’ll visit the Schlosskirche, rebuilt in the 1760s, where Luther pinned his 95 Theses to the door - and where he is buried. Also Luther’s colleague Philip Melanchthon’s home, and the Lutherhaus - located in the Augustinian monastery where Luther lived, first as a monk but later with his family. 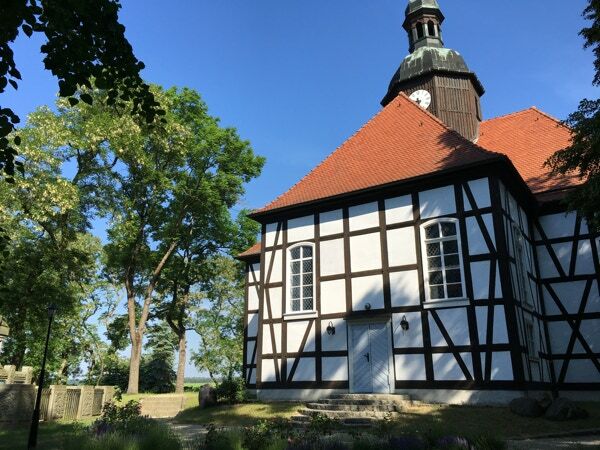 We’ll visit the St Mary’s church in which he married Katharina von Bora. Mid-afternoon we’ll drive back to Leipzig to end the tour or, in the opposite direction, 1 hour 30 minutes north to end the tour in Berlin. Start at a Leipzig hotel - or at the station at 8.43 a.m., you having got the 7.30 a.m. train from Berlin. 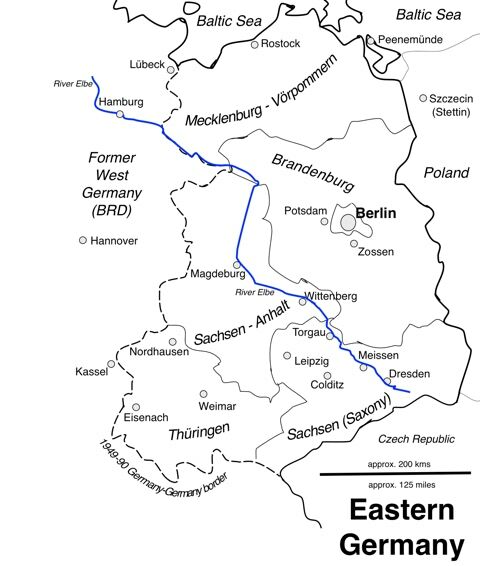 Drive 1 hour 20 minutes to Weimar. 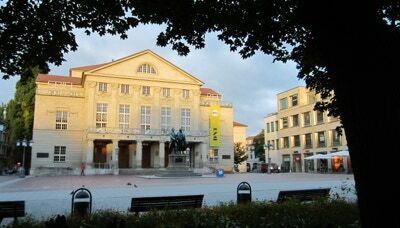 Weimar’s fame comes from its intellectual heyday in the age of the Enlightenment, the late 18th and early 19th centuries, when the writer Goethe (d. 1832 aged 83) lived and worked here, along with the poet and philosopher Schiller (d. 1805, aged 45). We’ll do a leisurely guided walking tour of the city taking in the (outside of) the main sites - fine squares and palaces, Goethe’s and Schiller’s residences, and the Theatre where the ‘Weimar Constitution” of 1919 was drawn up. Before lunch we’ll visit the Bauhaus Museum - the design group was founded here in 1919. Drive 35 minutes to Meissen to visit the famous Meissen Porcelain Museum. 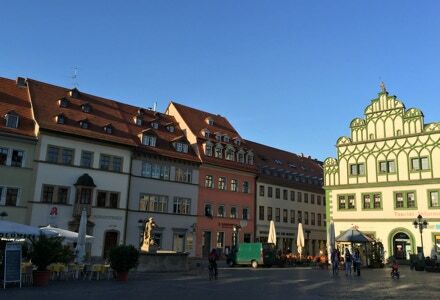 After coffee and a look around the town, on 1 hour to Colditz - lunch in the main square then climb up to the Castle for a tour of the World War II Prisoner of War camp. Hear about the famous escapes - and the glider that the prisoners were building! Drive 50 minutes to Leipzig - drive in via the huge memorial to the October 1813 Battle of the Nations (or Battle of Leipzig), a turning point in the Napoleonic Wars. Check in to our hotel for the night. 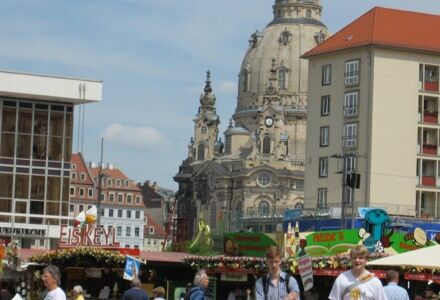 Walking tour of (the outside of) the principal city centre sights: the Old Town Hall (1550s), the Old Exchange building (1680s), the Thomaskirche where Bach was the cantor (15th-century), the Augustusplatz with its 1980s Opera House, and the Nikolaikirche which housed the protests in 1989 that led eventually to the fall of East Germany. 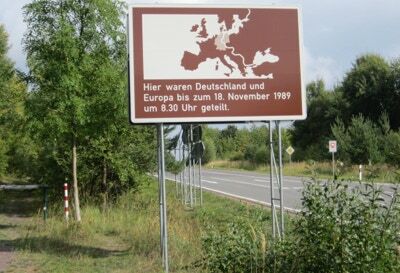 We’ll visit the Museum of Contemporary German History which tells the story of East Germany. Then we’ll move on to the Stasi Museum in the former local HQ of the Stasi, the East German secret police. Choice then of going into one or both of the churches, and the Bach Museum. Leave mid-afternoon for 2 hour drive back to Berlin. Start in Berlin - 2 hour drive to Dresden. Walking tour of (the outside of) the principal city centre sites, with a snack lunch stop: the Frauenkirche, the protestant church rebuilt since reunification in 1990 (finished in 2005), the Semper Opera House (1840s), the Brühl Terrace walkway along the River Elbe, the Zwinger palace and gardens (1720s), & the Renaissance Elector’s Palace (Residenzschloss). • We organise tours DIRECT with you – we have no public list of tours. Rather, we respond to enquiries by suggesting ideas and itineraries to suit your interests, with prices and dates specific to you. • We handle numbers from 2 to 20 – families, small groups of friends, social and retirement clubs, etc. • We arrange itineraries, hotels, on-ground transport, site entries, and provide personal guiding. All text, maps & photos © Dr Thomson’s Tours Ltd.